Wayback machine is something which gives you the power to see the history of a website of content. Wayback machine is a term generally known to only those who manage a website or own a website. In simpler words, it is something that provides you with the access to a digital archive of the internet or the world wide web. Not only this but also Wayback machine lets you see the entire history of a website. You can actually look at how a website looked or what content it had from 1996 to today. You can judge the differences and also see what success websites did in the past to become what they are today and apply the same principles and actions on your websites to make it as successful as you want it to be. Moreover, Wayback machine lets you access the archived digital content of the websites even if the content is no longer present on the website itself. This machine stores the history of over 10 billion websites and can help you look at how your a website looked back in time through various snapshots from the past. If you are an individual who is a businessman and would like to see deleted content of a website which you look upon, what you need to do is, take help of the Wayback machine and look into the modified contents of the website and decide your business strategies accordingly. Now, there are very few chances of the archives.org going down but if anyhow it does go down, here is the list of top 8 alternatives to wayback machine. This is one of the oldest and the best alternatives you can find to the wayback machine. Regardless being considerably old, it is still used the most by people because of its user-friendly interface and the ability to justice to what its purpose is. Archive.is is considered to be a time capsule of web pages, it can even let you access the snapshots of web pages from the websites which do not even exist anymore on the world wide web. But when it comes to archived web pages, this is something you might not want to turn up to. When you visit the Archive.is, you find two search bars. The first one is for searching for websites, codes, and snapshots whereas the second one lets you share and download them for future use. This is another best alternative of Wayback machine. Screenshots.com is called the time machine in the world of archive content from different websites as it lets you access the screenshots of over 250 million websites. If you are in to see how exactly a website looked like in the past, screenshots.com can let help you do. The only thing which you can't do while being on this website is that it does not allow you to see codes and code related stuff. This site offers you something which is not allowed to you by any other wayback machine alternative as it allows you to zoom the screenshots of your websites and have a clearer look for your research. This is something which lets you find out every information about a website whether it is currently existing or not. As a result of its WHOIS service, you find information about hosting and IP address used by a website in a particular span of time. If you feel the need to get your hands on the insides of a website or more, DomainTools is the thing of use. It also makes available to you a number of screenshots from websites which have changed with time. Furthermore, it makes you aware of how these websites looked in the past. 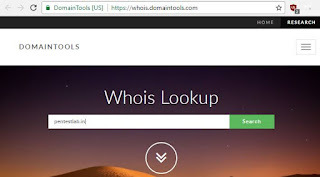 If you want information from a site which does not exist in the present, DomainTools is even to capable of providing you with screenshots of that website as well. This is yet another highly effective alternative of wayback machine, but it offers you slightly different information about a website than that of the wayback machine. Just as the wayback machine provides you with archived web pages and snapshots of different websites, iTools provides you with information about the popularity and traffic witnessed by the desired website. Even the database of another alternative of the wayback machine, Alexa is accessed through iTools. Not only information about popularity and traffic but also it gives you information about the competitors of the desired website. Alexa doesn't need any introductions. It is owned and governed by Amazon.com and is very famous for obvious reasons. It is fully capable of giving you the exact information about a website required by you. Alexa can give information so detailed that it even includes the browsing data of the desired website. What is special about Alexa is that it can give you information about the website’s ranking and keyword research. This information can turn out to be very useful for someone who is new in the website business and want the research to be done beforehand and not after developing the website. If you are someone who would want to have exact information needed to take a website to the very top, Alexa is your way to go. Just like Google, PageFreezer uses crawling technology. It has an automated feature for capturing screenshots of the different website to make their information available to you. There are a number of services that it provides you which can help you to expand your business. 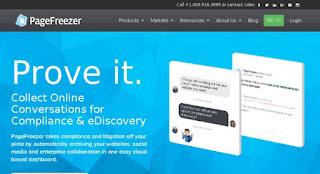 PageFreezer helps you with a digital signature, live browsing, legal evidence, data export, and web page comparison. These features of PageFreezer come on so handy that you can build your website around these and reach the rank you want for your website. As its very name suggests, it is another automated screenshot service. What you can do using Stillio is that you can take regular screenshots of your desired websites to keep a track of the activities. Stillio is very easy to use and that becomes the reason for its wide acceptance among website owners or managers. Stillio can help you with activity tracking, trend tracking, SEO tracking, website compliance, etc. if you are in for an alternative of wayback machine which you gives you an insight of the desired website, Stillio is the best place to be at. Yubnub gives you the relevant business information about the desired website which can come in handy if you are a website owner or a person who wants to develop a website. It provides you with several commands which you can use to get different information off of different selected websites. 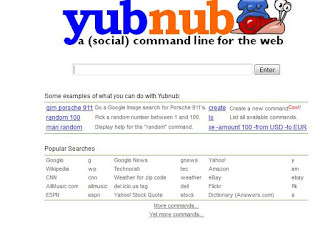 If you are in for something really cool and helpful, Yubnub is your way to go. These were a few alternatives to wayback machine, we found apt to include in this list and we hope that this list helped you. With this list, now you can choose any of these alternatives and get your work done with great ease and efficiency. There are other alternatives as well, but we wanted to bring to you the best of the best, hence we formulated this list. We hope that this list was of use to you!